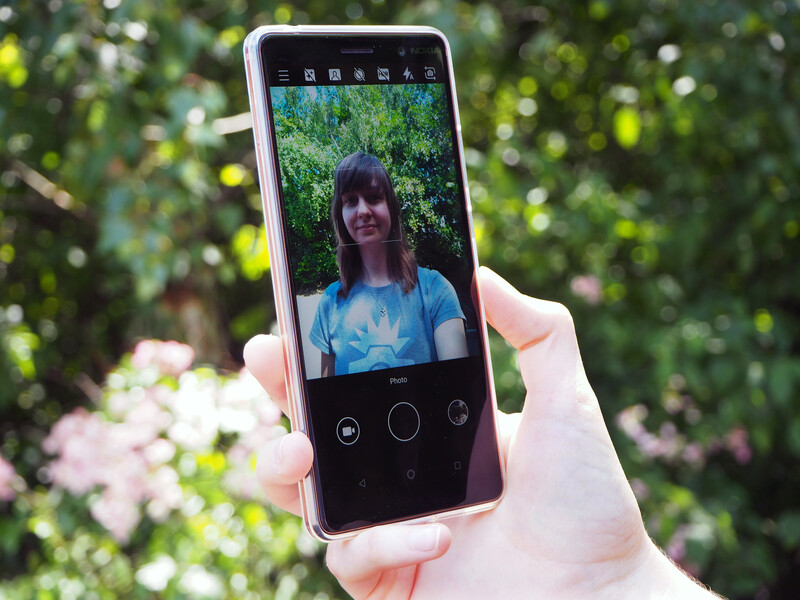 The Nokia 7 Plus is a mid-range smartphone that has rear dual cameras, a decent selfie camera and the ability to capture 'bothies' but are its portrait capture abilities up to par and do landscapes stand out from the crowd? We're putting it to the test to find out. The Nokia 7 Plus is a reasonably priced smartphone that is capable of capturing pleasing images in good light. Plus, the live bokeh feature adds a lovely layer of bokeh to portraits. However, in low light, quality does start to waver and niggles such as the smartphone struggling to lock focus can get annoying. Is it a standout phone that will make you go 'o,wow'? Probably not, but if you're looking for a reasonably priced smartphone without too many frills that still performs well, the Nokia 7 Plus is well worth considering. Nokia, a brand once famous for bringing us hours of fun with a very basic, but weirdly addictive, game called 'snake', are now re-branding themselves as a mobile phone company who are capable of producing smartphones with decent specs and even better prices. 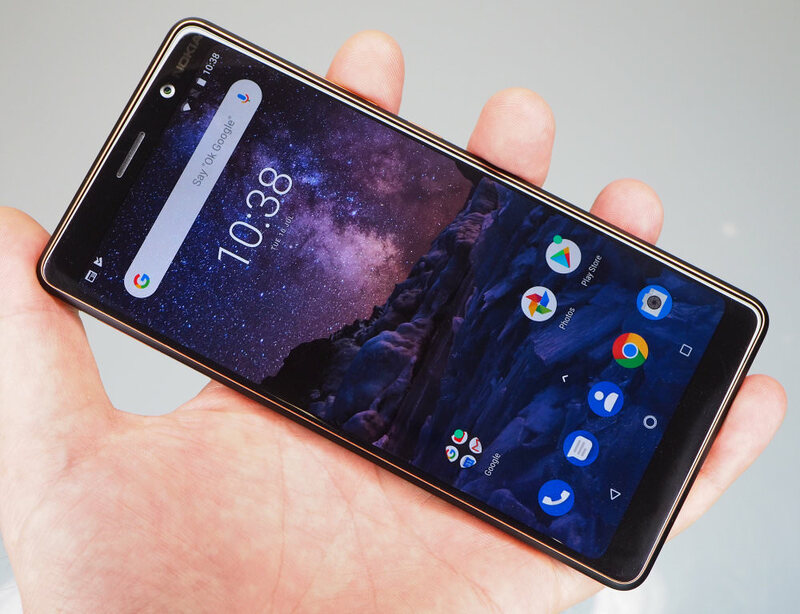 The Nokia range, minus the flagship Nokia 8 Sirocco, features smartphones which won't make a Yorkshire man cry when handing over cash (basically, they're available for a couple of hundred quid rather than almost a grand) and the Nokia 7 Plus is also the most reasonably priced smartphone Nokia offers that features ZEISS optics - a relationship that actually goes back some time and, of course, when you see the 'ZEISS' name you know the optics are going to be pretty decent. 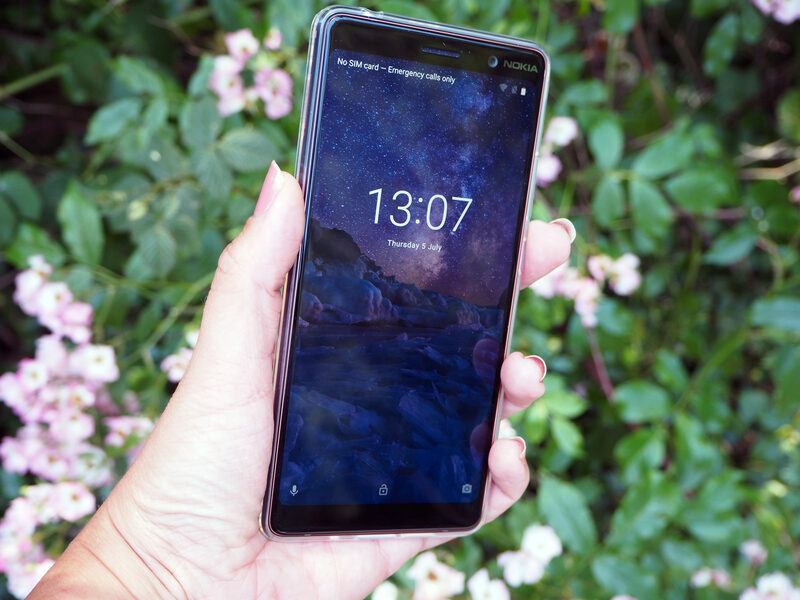 If you do want to hit the 'buy now' button, the Nokia 7 Plus will currently set you back just £349 over on Amazon UK (64GB, SIM-Free) but you can also get the smartphone on contract, should you want to spread the cost. So, with a reasonable price and famous optics built-in, the Nokia 7 Plus is lining up to be a smartphone photographers should be paying attention to but does what it says on paper line-up with real-life performance? Let's find out. 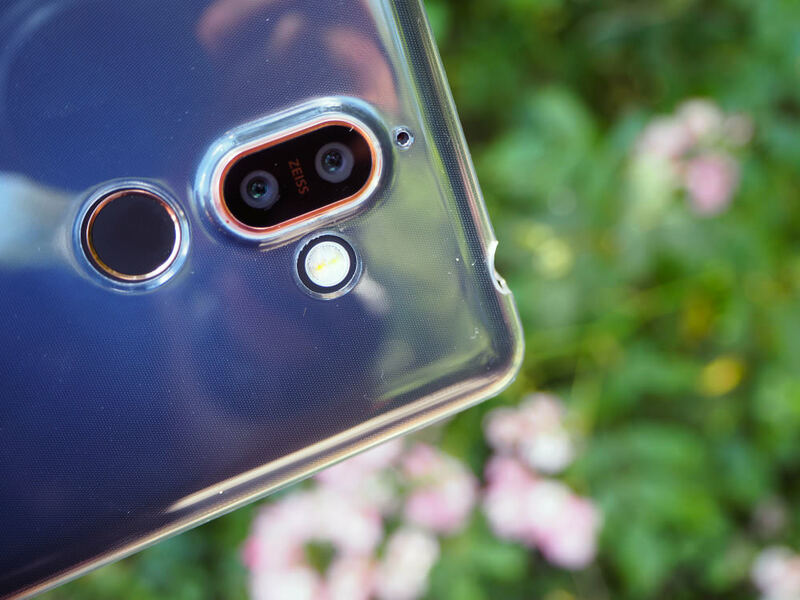 As we're a photography website, let's start by looking at the cameras built into the Nokia 7 Plus smartphone. 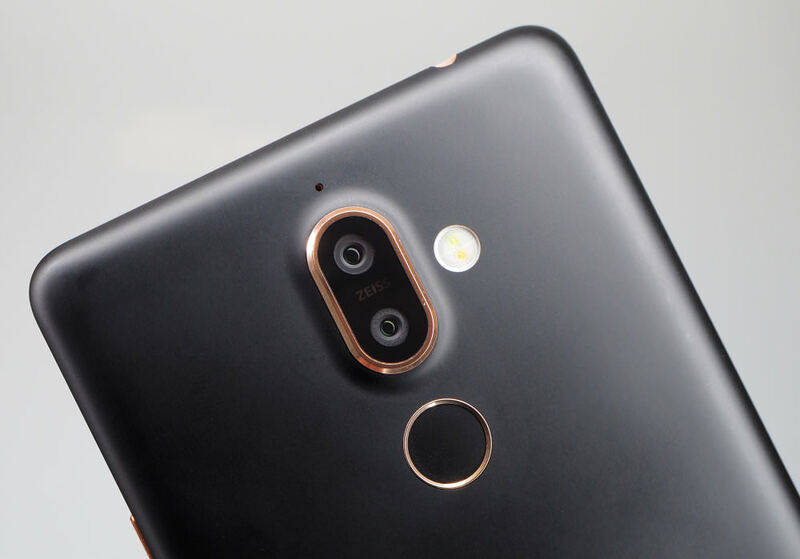 On the back, you'll find a dual-camera featuring 12MP and 13MP sensors (the smartphone outputs 12MP images when captured with the rear camera), ZEISS optics and a 2x optical zoom. The primary, 12MP dual pixel sensor (1.4-micron pixel size) camera features an f/1.75 aperture lens while the secondary, telephoto lens features an f/2.6 aperture lens which means it could struggle in low light. On the other side, the 16MP f/2.0 front-facing camera also features ZEISS optics but there's no autofocus built in. The Nokia 7 Plus also captures 4K (2160p) video but stabalisation doesn't work when shooting at this resolution. Plus, it's electronic and not optical which means it doesn't work quite as well and when taking photos, the camera has to increase the ISO to get a quicker shutter speed which can result in blurry or noisy images. Other interesting camera features include live bokeh, a panorama mode that offers vertical as well as horizontal panorama guidance, HDR, pro mode and a beauty feature that will 'fix' images. Plus, if you use Google Photos, you can get access to unlimited photo storage and cloud back-up which should keep your 64GB of storage pretty free but you can use a MicroSD memory card should you run out of room. The Nokia 7 Plus is powered by the Qualcomm Snapdragon 660 mobile platform as well as 4GB of RAM and a 3800mAh battery keeps your apps running which you can view on the 6-inch, 18:9, 2160x1080 screen. It also runs Android One for that 'pure Android experience' so you get regular security updates and fewer apps installed on the device when you first open it up. As you'd expect from a smart device, the phone has Bluetooth, Wi-Fi and NFC connectivity but it's not waterproof, a feature we've seen creeping to more smartphone specs nowadays. Large smartphones once caused a bit of a stir but now, they're something the majority of us are used to so the Nokia 7 Plus fits the hand well and it can also be used quite easily with just one hand. Although, we'd always recommend taking photos when holding the phone with both hands and a case is recommended due to the super smooth and easily scratchable back. Plus, a case will give the smartphone extra protection should you drop it. The Nokia 7 Plus smartphone is machined from a solid block of 6000 series aluminium and the copper coloured edging set against the matte-black back gives it a premium look and feel. The Nokia 7 Plus smartphone is machined from a solid block of 6000 series aluminium and the copper coloured edging set against the matte-black back gives it a premium look and feel but fingerprints do show up quite easily (a white version is also available). The back isn't as slippery as some other phones which gives confidence when using it without a case as it doesn't feel like it'll just slide out of your hands and the curved corners make the smartphone more aesthetically pleasing. The screen is coated with Corning Gorilla Glass 3 which will protect the device from scratches and marks but newer phones now feature Gorilla Glass 5 so the Nokia 7 Plus isn't quite up to the mark in this area. Some have said the screen isn't bright enough but it looks good to us, with colours appearing to be accurate but you do have to wack the brightness right up when using it outdoors. The screen's not quite as bright as the one built into the OnePlus 6 but it's on-par with the Google Pixel 2 and Honor 10. In fact, when viewed at different angles, the colour balance on the Nokia 7 Plus' screen is much better than the Google Pixel 2. Overall, for a mid-range smartphone, the 1080x2160 screen resolution is pretty decent. 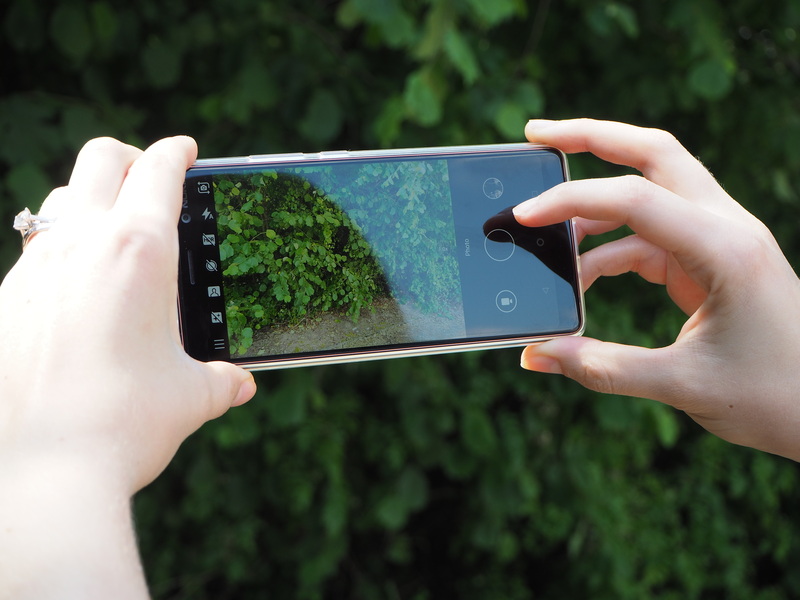 As for how the screen reacts, it's very responsive, with no lag slowing your photo-taking abilities down. It also measures 6-inch which when you sit it alongside the more expensive iPhone 8 Plus, looks huge, even though it's only .5 of an inch bigger. This is, partly, down to the very thin bezels the Nokia 7 Plus has so the screen feels much bigger than it actually is. The dual cameras aren't obtrusive and below them, you'll find a fingerprint reader. Away from the back of the phone, you find a rare feature nowadays - a 3.5mm headphone jack and down the sides are the power and volume buttons (which can also be used as a shutter button). On the bottom edge is a single speaker, microphone and USB port. Right, outside phone description complete, let's move onto the camera app which, while it performs OK, it's not the greatest camera app we've used. Why? Well, it's just a bit clunky, it misses some features and some tools are just not where you expect them to be or as easy to access as they could be. Take the selfie mode, for example, you have to click the rear/front camera switch (as you expect) but it's right at the top of the app which means you can't access it with one hand so 'quick snaps' aren't something you can do easily. Quick access modes are shown across the top (in portrait mode) and stacked to the left when holding the phone horizontally. The modes include face smoothing, self-timer, HDR, flash and an option for switching between single, dual and P-I-P (combined front/rear shots). Next to these, is a drop-down menu which is home to a panorama mode, live bokeh, the pro camera and settings. There's also a button to switch from camera to video next to the shutter button. Pro mode can also be accessed by pressing and sliding the shutter button which curves the manual settings into view. 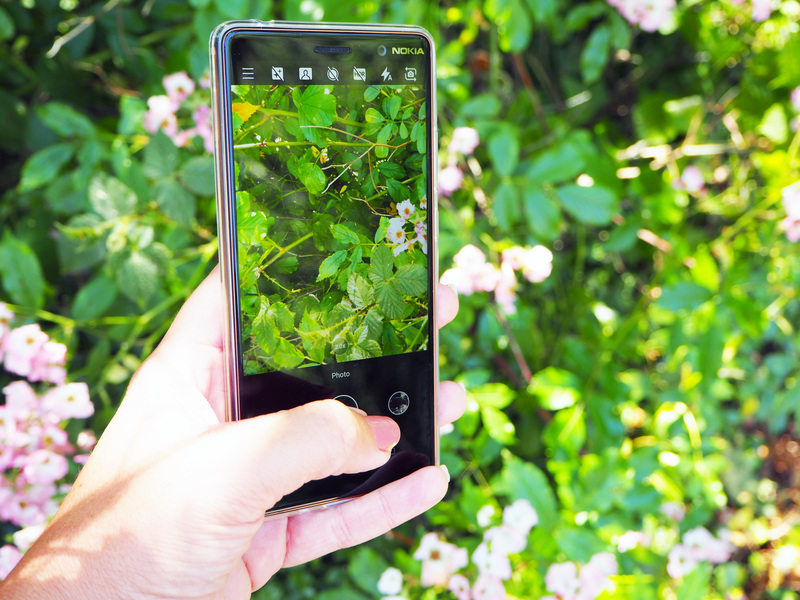 When using Pro mode, you can adjust the white balance, set the ISO, pick a shutter speed, use manual focus or set the exposure compensation. The Pro mode is a brilliant feature to see on a mid-range smartphone as some premium smartphones, such as the iPhone X, don't offer this. Having said that, it's not the most intuitive pro mode we've ever used and we had to play around with it a while to fully understand it. To switch between the 1x and 2x rear lenses, you just press the circle with the figure in, as you do on all smartphones with this feature, and the shutter button isn't a real button, it's just built into the app to keep the bezels small. The phone is powered by a Qualcomm Snapdragon 660 mobile platform as well as 4GB of RAM which is good but it doesn't make it a powerhouse in terms of performance. Having said that, it has a Qualcomm processor when cheaper Android phones use MediaTek processors so this is a plus point. Using Geekbench 4 it scored 1640/5861 (single core/multi-core) and the AnTuTu benchmark gives the Nokia 7 Plus a score of 141592, which gives it scores on-par with premium smartphones from a couple of years ago. Battery life - The battery is a 3800mAh which isn't as impressive as the 4000mAh batteries out there but it does offer slightly more oomph than the battery built into the similarly priced Honor 10. It's also a similar phone-size to the Samsung Galaxy S9 Plus which only has a 3,500mAh battery built in. Nokia says that battery life is rated at 2-days but when taking photos, capturing video, making calls, sending texts etc. this might be a bit of a stretch but you can get through a day of use without having recharge the device. Quick charging is also supported so you won't be waiting ages for the battery to refill but wireless charging isn't supported. Of course, there are a number of ways you can extend the battery life of any smartphone and do remember that the battery can't be removed so you'll need to take a USB-C charger if you think you'll need more power.